I Love You More Than Carrots: The Best Family Vacation Ever. When your kids are as little as mine, family vacations don't exactly stir up feelings of excitement and eagerness to let loose and relax and while traveling with little kids is always an adventure, sometimes the stress and chaos of doing so puts a damper on the get-up-and-go making it more of a hurry-up-and-come-home. After all, vacations with small children are nothing more than taking trips to places they're unaccustomed to being while still having to carry on the normal routines of your day with less resources and amenities than you're accustomed to having. Don't even get me started if they all have to sleep in the same room as you. Not a whole lot to get excited about, am I right? 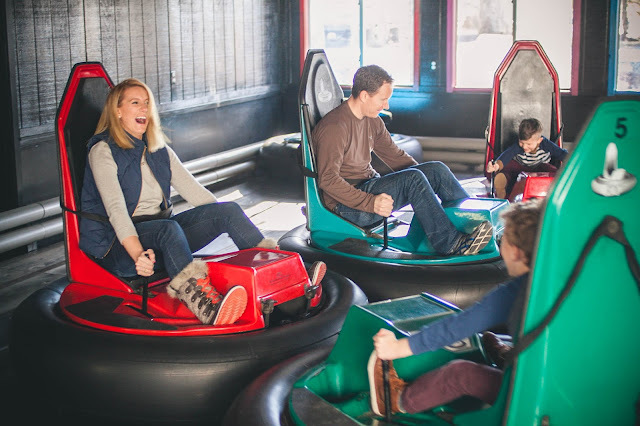 That all changed for us when we spent a long weekend in the Poconos at Woodloch Resort, a premier all-inclusive family resort featuring FUN all year round. When I say that we had the times of our lives that weekend, I'm not exaggerating one bit. Nearly four weeks after our stay there, everyone in our family continues to talk about the incredible time we had there. Nestled in a pristine mountain lake vacation setting, it reminded me so much of the resort from the movie "Dirty Dancing." Woodloch caters to families. In fact, it's what they do best and every single day they went above and beyond to make our stay with them a great one. 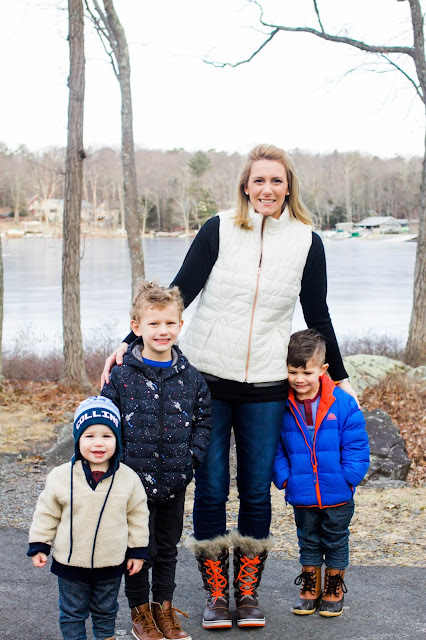 As a mom, there's nothing that warms my heart more than hearing the excitement in my sons' voices as they relive memories and moments long after we've experienced them. In fact, at the end of our third and final day there, none of us wanted to leave. I can't tell you how often by the end of day 2 I'm ready to high tail it home, yearning for convenience and comfort but Woodloch had us craving more. More fun, more laughs, more memories. There's so much that I want to say about our time there that I've broken our visit down into two posts (activities and experiences in one, accommodations and a must-see's recap in another) so please, please be sure to come back and learn more about why I think all families should spend a weekend at Woodloch. On the day of our arrival we enjoyed a scenic four and a half hour ride up to the resort from our home in Maryland. As we inched closer and closer to the resort, the roads became windier and windier. Thankfully I popped a Dramamine midway through our travels or else I'm not sure how I would have made it without losing my Sheetz! 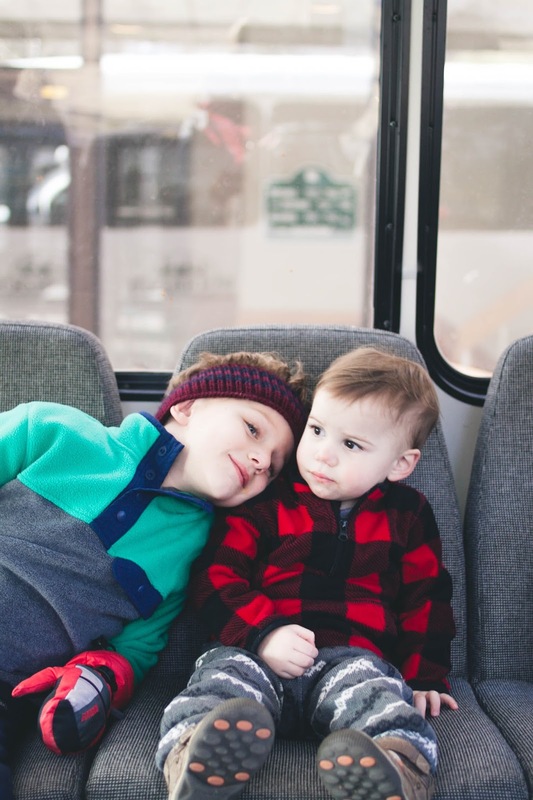 The boys enjoyed the trip up immensely, mostly because of the in-car movies and bottomless supply of snacks and if I have any advice for road-tripping with your kids, it's precisely that: you can never, ever pack enough movies or snacks. While check-in could be anytime between 11am and 5pm, we arrived on the later end with three very restless little boys in tow, thanks to several unanticipated pit stops. Once we had our room keys and resort map in hand, we immediately headed to our lakefront suite to change into bathing suits and check out the indoor pool and splash pad. Of note, I've now decided that in my next house I want a personal indoor splash pad installed in the basement because oh my god, if that isn't the best way to burn off some energy before bedtime, I don't know what is! This became our nightly routine and one that we all looked forward to at the end of our day. It was around the time that the baby started waterboarding himself that we decided to towel off, change and head to dinner. Meals at Woodloch are the bomb. Remember when I say that Woodloch caters to families? Well, meal times are an excellent representation of their dedication and passion for the family unit. With leisurely mealtimes and a large dining room atmosphere, we never felt rushed or like a burden during meals, nor did we ever have to wait for a table or to be seated. When our oldest couldn't decide whether he wanted chocolate milk or regular milk with lunch, he got both. When our middle child's excitement over salmon waned the moment the dish was placed in front of him, our server returned with his ultra favorite, mac and cheese. The views of the lake from our table were incredible, making meal times quite the opposite experience from our typical rushed meals at home where we always seem to be down a member of the family around the table. It's during these meal times when we'd talk about our favorite parts of the day or what we were looking most forward to. When we asked the boys what their favorite parts of meal time were, in unison they quickly replied "the characters!" followed by an emphatic "bread!" from my middle child. The meal time entertainment was always a fantastic bonus and the boys especially loved meeting some of their favorite costumed characters! Day two at Woodloch brought us the full family resort experience. From sun up to sun down we partook in one super awesome activity after another and never once did we feel any stress or anxiety about sticking to schedules or fear of missing out. We returned to the room when we needed a break and forged ahead finding fun around every corner when we were ready. It was during breakfast each morning when we received our itinerary for the day that our oldest loved picking out the activities for the day. When we weren't working up a sweat at the indoor playground, climbing wall and obstacle courses, we were engaging in full on Parent vs. Kid Wars on the bumper cars and Go-Karts. When it wasn't an adrenaline rush we were seeking, we enjoyed more low key activities like family scavenger hunts, bowling, pony rides and petting zoos on the front grounds. Even leisurely walking around the lake was fun. The Kids Club and Arts & Crafts room was also a popular stop on our resort tour. Perhaps the greatest of the great, however, was the snow tubing. 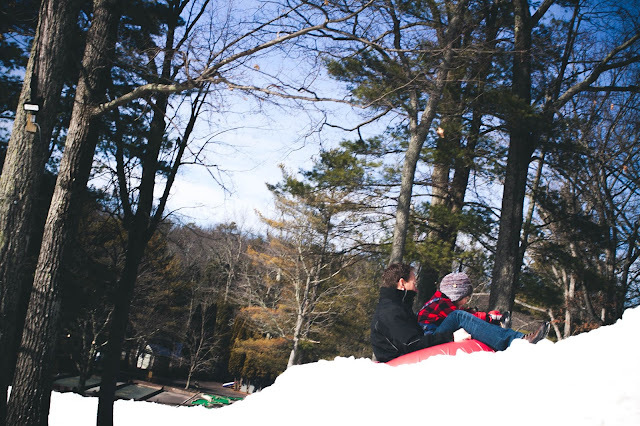 Watching your kids crush their fears and leap head first onto a snow tube and barrel down an icy slope is nothing short of breathtaking (and heart stopping). Even with little kids so diverse in age, there wasn't one activity (less the go-karts) that the littlest of them all couldn't partake in. Yes, you read that right, even the one year old took on the snow tubes accompanied by yours truly. 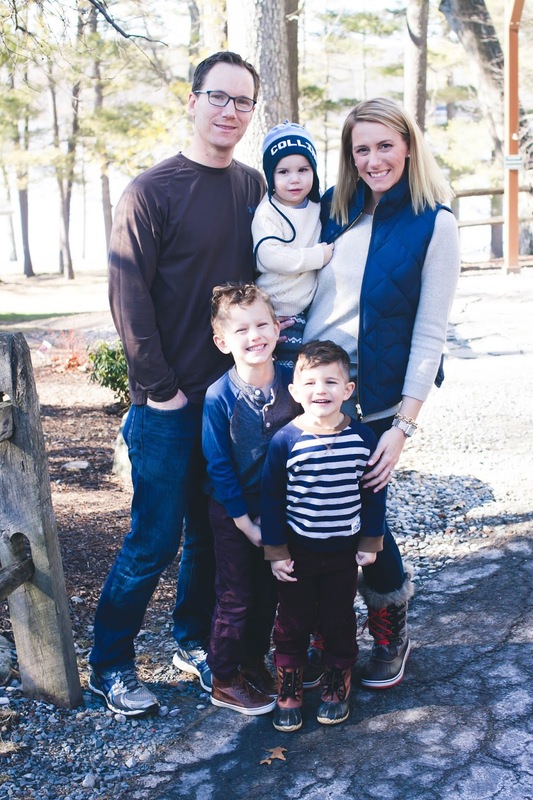 Escaping to Woodloch did wonders for our family. It forced us to step away from the monotony of our daily schedules. From our emails, our work calls, from basketball practices and tumbling classes. From the incessant drop off's and pick up's and spending, what seemed like, hours on end in the car. It granted me a necessary break from preparing meals, packing lunches and keeping house so as to keep our family dynamic running as seamlessly as possible and just E N J O Y my family in the moment. At Woodloch I was able to remove all of those other hats I wear that don't hold a candle to the most important one, my mom hat. It allowed me to step back and see our boys and my husband in a different light. An unencumbered light. 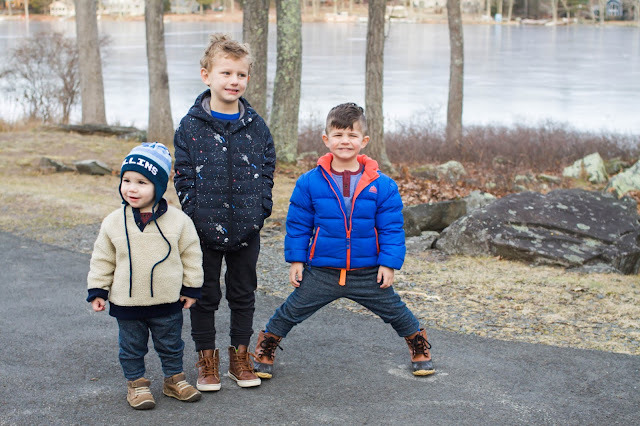 Our Woodloch getaway allowed me to focus solely on enjoying my family, being fully present and a part of the memories we were making. For that, this simple weekend away and that little slice of heaven in the Poconos will always hold a very special place in my heart. The belly laughs, the shrieks of laughter, watching our boys overcome their fears and ride head first down the snow tube slope or swim underwater- running up to hug their favorite characters, stopping to wait for each other during walks and including each other (and new friends) in their made up games- listening to them pick and choose their favorite parts of the day and getting a little misty-eyed when they'd say, unprompted, "thanks, mom, for bringing us here. We've had the best time." 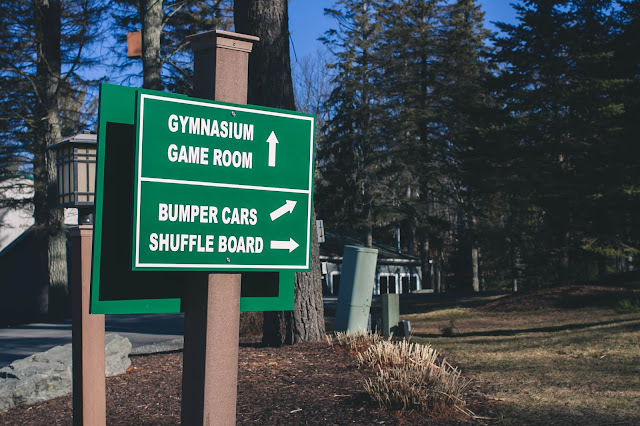 I'm so grateful for the time we spent at Woodloch and for the memories we made. I know they'll sustain us until our next visit, because without a doubt, we'll be back! Stay tuned for more on our incredible trip just four hours north. In my next post I'll be re-capping a few more must-see's and do's as well as talking about our two-room suite and what I would have done differently. Interested in learning more about Woodloch or are you ready to book your next visit? If so, be sure to check out these amazing specials that are currently running for months March and April. Trust me, you will never, ever regret it! We're already planning our return for the summer months- I hear it's a completely different resort and we can't wait to check it out! Holy Week Reservations - Save an extra 25% TODAY! 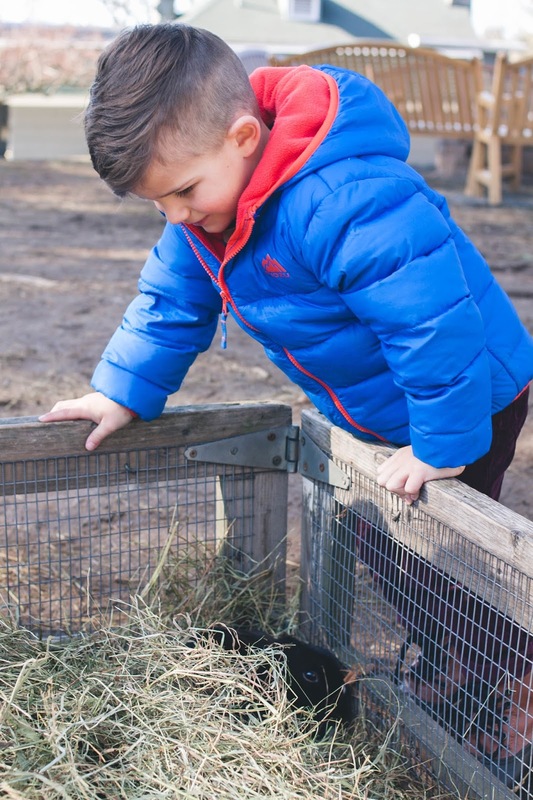 Traditional Easter egg hunts, a visit from the Easter Bunny! Disclosure: We graciously stayed at Woodloch on behalf of the resort (and would return again on our own dime in a heartbeat!) All thoughts expressed above are honest and my own. I did not receive additional compensation for writing this review.